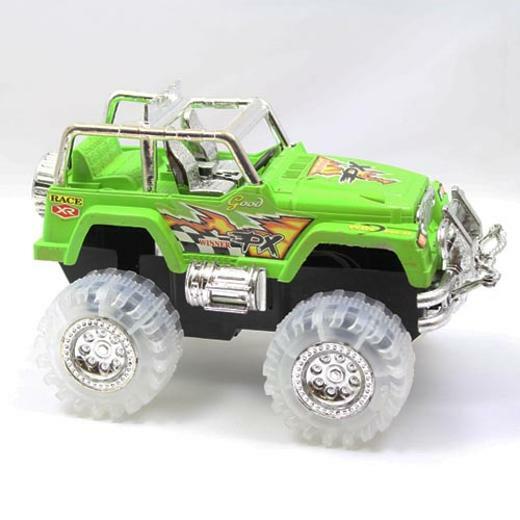 All over the world friction powered sports jeep with lighted wheels. Wheels will light upin red and blue when pushed. This is hours of fun at a great price! Friction powered, no batteries required!